Pipeline analytics by revenue, EBITDA, etc. 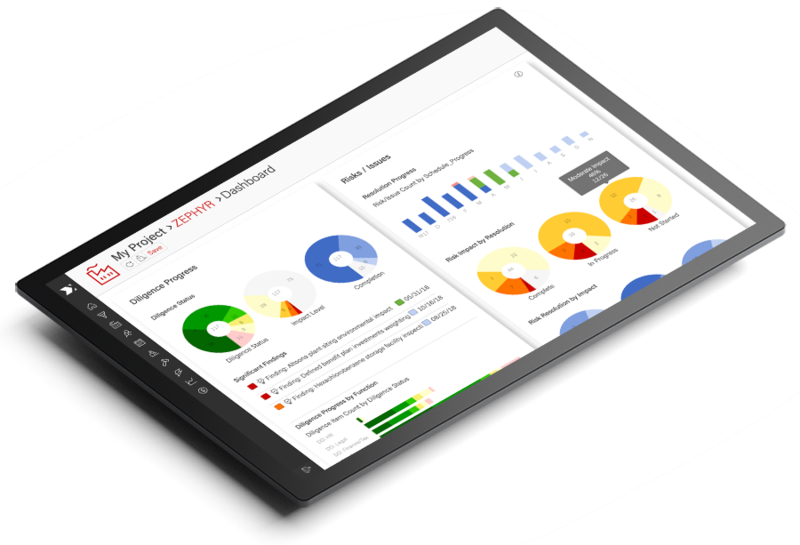 M&A software tools for capturing value and ensuring performance from each transaction. 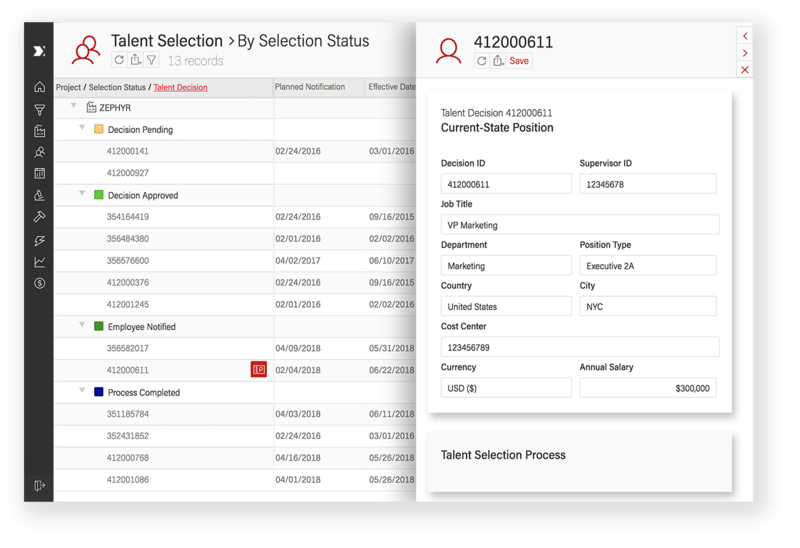 EKNOW’s Talent Selection module is a specialized M&A software tool for reductions-in-force (RIF), “headcount,” or reorganization initiatives. 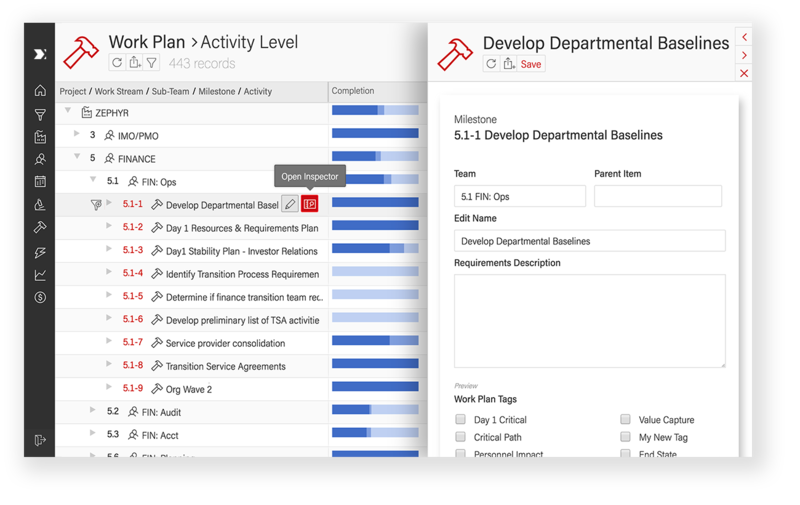 Use the Talent Selection module to make staffing changes with process discipline, security and confidentiality. 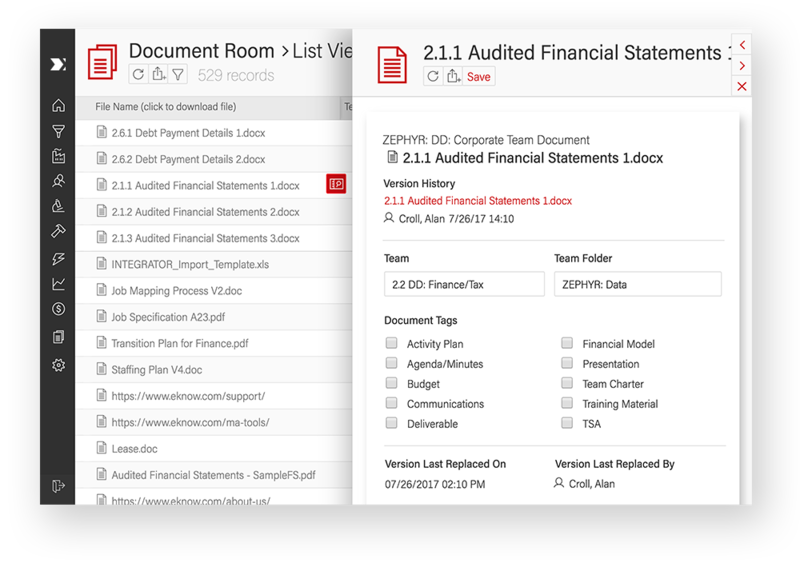 Structured workflow tracking helps eliminate missed opportunities, delays, and errors. 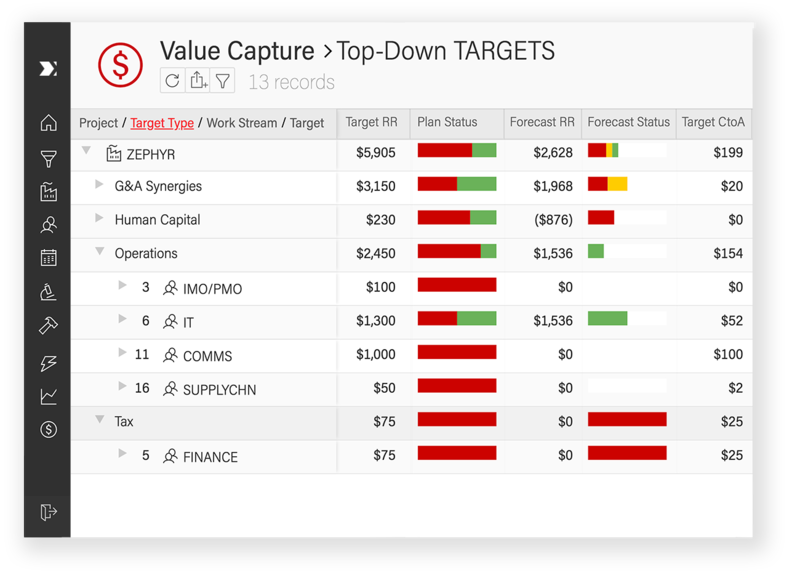 Avoided personnel costs in a single transaction can easily exceed the cost of M&A Tools. 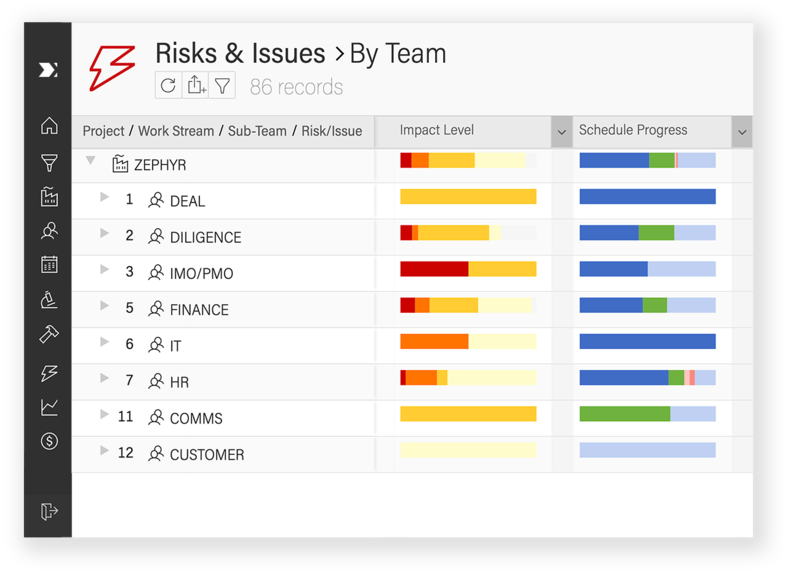 Highlighted above are the some of the most well-known and heavily used M&A Tools modules. But EKNOW clients soon find that many other modules are also extremely important in everyday use. Other special-purpose modules are often helpful on a deal-by-deal or, for consulting partners, on a client-by-client basis. 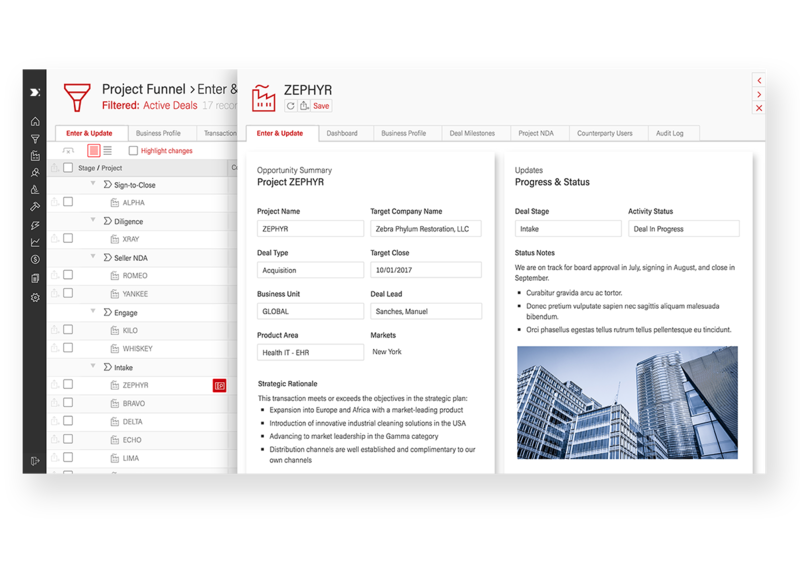 If any of these other modules respond to your requirements, enable them in your Project Modules or System Modules Control Panel – or ask for a live demonstration. Occasionally a large integration, or specialized consulting practice, will need unique functionality that may not already exist in any system. The problem: With traditional, non-EKNOW architectures, a very high threshold of need must be met before creating custom programmed functionality. This is because of the complexity, cost, delays, and risks associated with custom programming. Typically, custom programming also requires “forking” the software: creating a unique client code version which must be independently maintained indefinitely. These issues do not exist with the EKNOW ToolBuilder architecture.